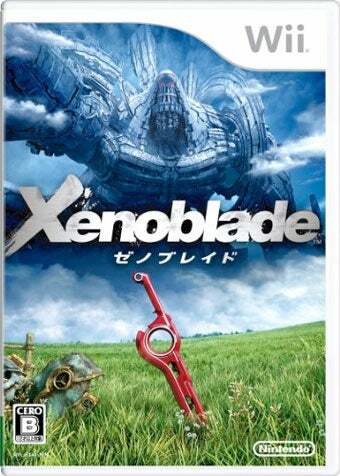 Xenoblade, the new Wii role-playing game made by the people who made Xenosaga, is Japan's top selling game, dethroning previous champ Super Mario Galaxy 2, which crosses a milestone of its own. Super Mario Galaxy 2 owners in Japan now number more than half a million, putting the Wii game on its way to great success. The game is followed on the charts by the episodic release of Grand Theft Auto IV, which joins Just Cause 2 as the only other Western developed PlayStation 3 game in the top ten. What else... oh! Since I'm sure you were wondering, Hisshou Pachinko * Pachi-Slot Kouryaku Series DS Vol. 5: Shinseiki Evangelion - Tamashii no Kiseki for the DS still managed to land in the top 30. The rest of the week's new additions and bestsellers, courtesy of Media Create, follow.